It’s that time of year again! Prime boating season has passed, but there is still one last chance to get out on the Lake of the Ozarks for a final end-of-season hurrah. 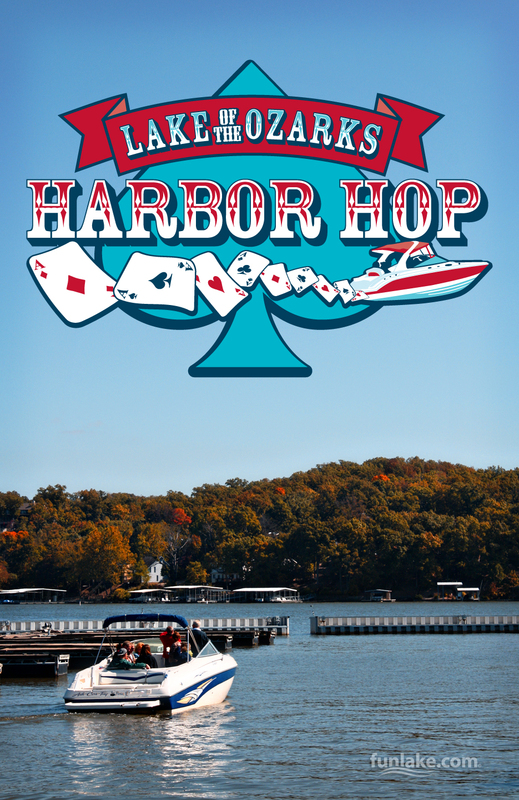 Fall Harbor Hop is the perfect opportunity to get out on the boat and enjoy the beautiful autumn air with your friends and family. This year’s event is scheduled for Saturday, October 8th. Deputy & Mizell, LLC is here to provide you with all the details for this favorite fall event. The premise of Fall Harbor Hop is simple. You’ll visit your favorite waterfront locations by boat and collect a playing card at every location you visit. When you have built a full 7-card hand, you will submit it at your final location for a chance to win prizes. If you want to increase your chances of winning, you may purchase an 8th bonus card. You can also build and submit multiple hands. Completed hands must be submitted by 7:00 PM. There is an optional $20 donation per hand. If a player obtains all his cards within a specific section, his hand will be eligible to be a section winner. Most of the participating locations will open at 11:00 AM on Saturday, but some will open as early as 9:00. Click here for a list of all participating locations, their opening times, and their section breakdowns. On behalf of all of us at our Mid-Missouri general practice law firm, we hope you have an outstanding weekend at the Lake of the Ozarks. If you should find yourself in need of legal representation for any reason, remember that our team will be here assist you. From personal injury representation to BWI defense, our Lake of the Ozarks attorneys are here for you.